Personal injury cases are among the most tried cases in the courts. 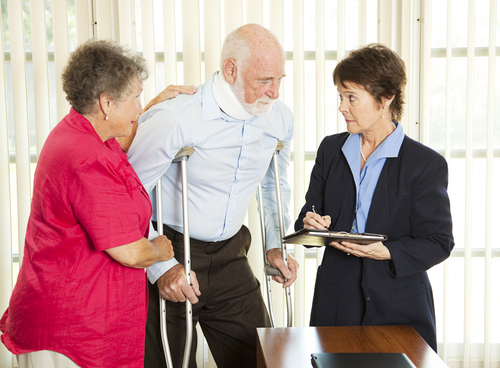 Whenever you need to move forward with a personal injury case of any kind, you’ll need to have the right information. In addition to finding a great personal injury attorney, you will also need to learn how much these cases cost and other financial implications. To this end, whether you need personal injury representation in a car accident, dog bite case or any other matter, consider these points and don’t hesitate to contact a law firm that can serve you. How much can you expect to get in a personal injury case? In a personal-injury case, you will need to understand the cost of your damages, as you assess and compile them. This may be a mixture of explicit monetary damages and punitive damages due to pain and suffering. You will need to be compensated for your physical injuries, medical bills, rehabilitation efforts, loss of income, property damage and any other factors that come into play. A law firm like Sigmon Law PLLC will be able to assess your damages and let you know exactly how much it will cost. This is a Houston personal injury law firm that specializes in every matter related to personal injury. How much do personal injury attorneys cost for representation? These lawyers charge a contingency fee. A contingency fee refers to a percentage of the money that you will receive at the end of the lawsuit. This happens either as a settlement or a court judgment. Settlements occur more often, so be sure that you get the legal aid, which will assist you and negotiating a good settlement. Personal injury law costs about a 30% contingency fee, so make sure that you take your time and hire the legal professionals that are capable of assisting you any time you are in need of this service. By reaching out to a personal injury law firm like these Houston personal injury lawyers, you’ll have the opportunity to get seasoned representation for your case. Hiring a Houston personal injury lawyer is essential from the very beginning of your case to document it and make sure that you stay within the statute of limitations. When you need to hire a Houston personal injury attorney, start out with a consultation. By getting a consultation with a Houston personal injury law firm, it will be much easier for you to know that you are in good hands and able to get healing for your injuries. The consultation is intended to help you get everything necessary to hold the other person or company accountable for your injuries. Take advantage of the tips in this article so you have the opportunity to receive representation from the best legal professionals around. Knowing this information will allow you to get quality service that heals your injuries and allows you to pick up the pieces after one of these treacherous situations.